With gastroenteritis, your stomach and intestines are irritated and inflamed. The cause is typically a viral or bacterial infection. 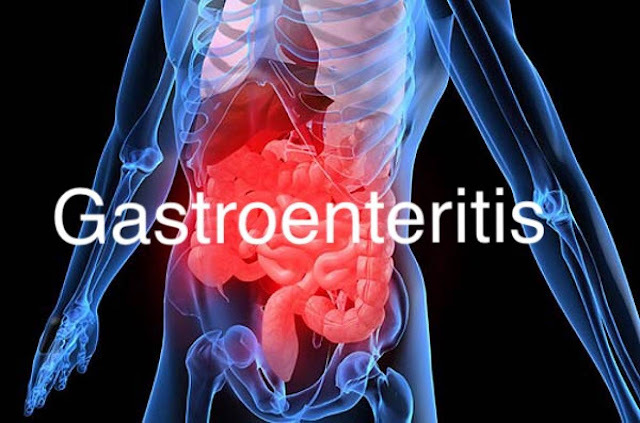 With gastroenteritis, the main symptoms you probably have are watery diarrhea and vomiting. You might also have stomach pain, cramping, fever, nausea, and a headache. Because of diarrhea and vomiting, you also can become dehydrated. Watch for signs of dehydration, such as dry skin and a dry mouth, feeling lightheaded, and being really thirsty. Call your doctor if you have any of these symptoms. Quiz: What Do You Know About Children's Allergies? Possible causes in children and adults. The most common cause of gastroenteritis is a virus. Gastroenteritis flucan be caused by many different kinds of viruses. The main types are rotavirus and norovirus. Rotavirus is the world's most common cause of diarrhea in infants and young children. Norovirus is the most common cause of serious gastroenteritis and also foodborne disease outbreaks in the U.S. Although not as common, bacteria such as E. coli and salmonella can also trigger the stomach flu. Salmonella and campylobacter bacteria are the most common bacterial causes of gastroenteritis in the U.S. and are usually spread by undercooked poultry, eggs, or poultry juices. Salmonella can also be spread through pet reptiles or live poultry. Another bacteria, shigella, is often passed around in day care centers. It typically is spread from person to person, and common sources of infection are contaminated food and drinking water. Parasites can also cause gastroenteritis, but it's not common. You can pick up organisms such as giardia and cryptosporidium in contaminated swimming pools or by drinking contaminated water.